Heat oil in a saucepan over medium heat; cook and stir onion and garlic until lightly browned, about 10 minutes. Mix quinoa into onion mixture and cover with vegetable broth; season with cumin, cayenne pepper, salt, and pepper. Bring the mixture to a boil. Cover, reduce heat, and simmer until quinoa is tender and broth is absorbed, about 20 minutes. Stir frozen veggies into the saucepan, and continue to simmer until heated through, about 5 minutes; mix in the black beans. 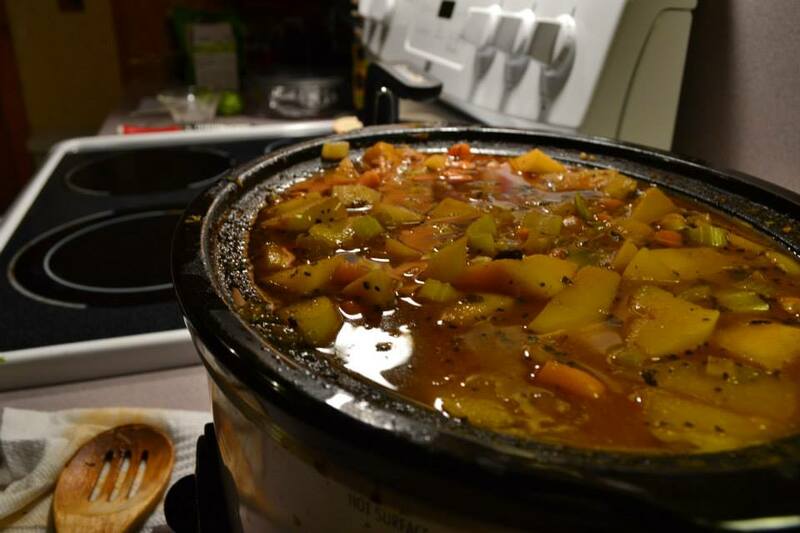 Place all ingredients except garnishments in a slow cooker. Cook on high for 4-6 hours or low for 8 hours. During last hour taste and season with salt and pepper as desired (can add more chili pepper too or a pinch of cayenne pepper if you want it on the spicy side). In the last 30-45 min check to see if chili needs more vegetable broth and leave the lid off to let it thicken up. Serve over cooked quinoa or rice and garnish with fresh herbs and coconut. 1- Combine turmeric, coriander, cumin, salt, chopped garlic, and grated ginger in a small bowl. Set aside. 2- In a large skillet or pot over medium/high heat, sauté spices using the vegetable broth and cook for about 3-4 minutes. Then add the rest of the vegetable broth and coconut milk. Stir to combine. 3- Add in carrots, peas and red pepper. Bring to a boil then turn down heat and simmer for 5 minutes. 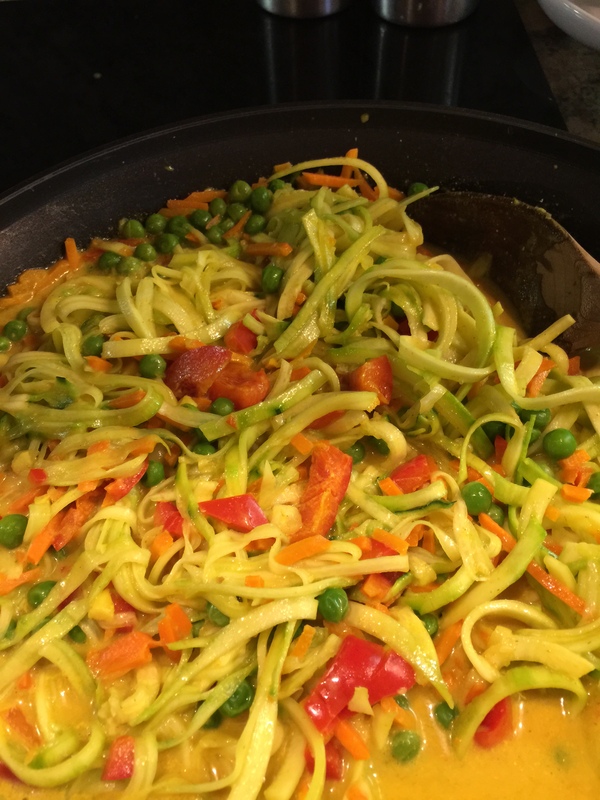 Then add zucchini noodles and cook for another 5 minutes. 4- Squeeze in lemon juice and dig in! 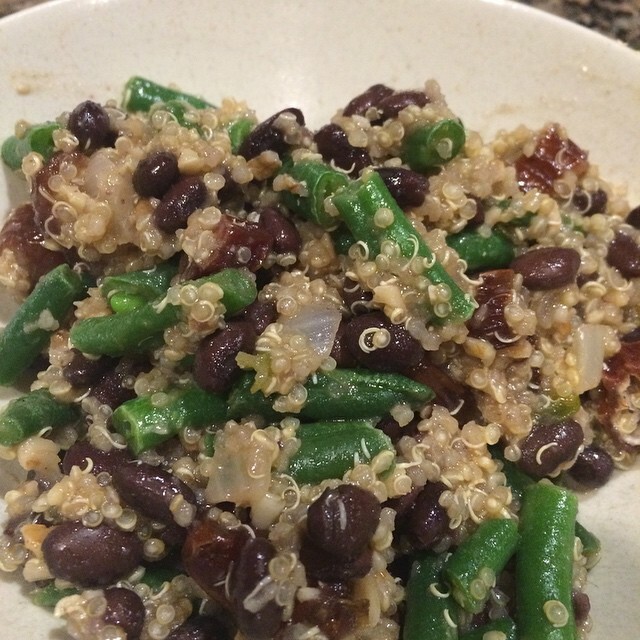 Can be served over brown rice or quinoa.